....efter filmen blir det också en kort diskussion om filmens innehåll utifrån ett filosofiskt , esoteriskt och mänskligt perspektiv. The Celtic people are credited with preserving Western civilization's accumulated knowledge during this time when books were burned and writing was banned elsewhere on the continent. Historians provide insight into the gifts of the Celts. Long buried treasures and newly discovered artefacts have shed a different light on Celtic society once condemned as barbaric by classical writers. The video presents stories and myths of the culture, from its pagan nature beliefs to the exploits of its warriors. There is a tour of ancient ruins and reenactments take place in a replica of a Celtic village. The program features Celtic art, including the calligraphy and scroll work crafted by priests during the Dark Ages. 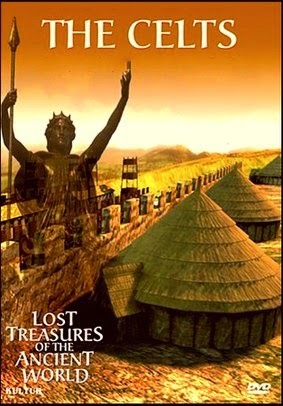 The discovery of treasures long believed lost and monuments recently exposed are offering a more complete outlook on Celtic culture, as presented in this engaging program that sheds new light on the ancient civilization. Refuting the once commonly held belief that the Celts were a barbaric people who practiced bloody rituals and religious sacrifices, new evidence reveals Celtic society to have been sophisticated and artistic. Long-buried treasures and newly discovered monuments are shedding new light on Celtic society. Classical writers condemned what they saw as the barbarian society - a lifestyle built around rituals, bloody sacrifices and savage fighting. This program reveals that there was a rich sophisticated element to Celtic culture.